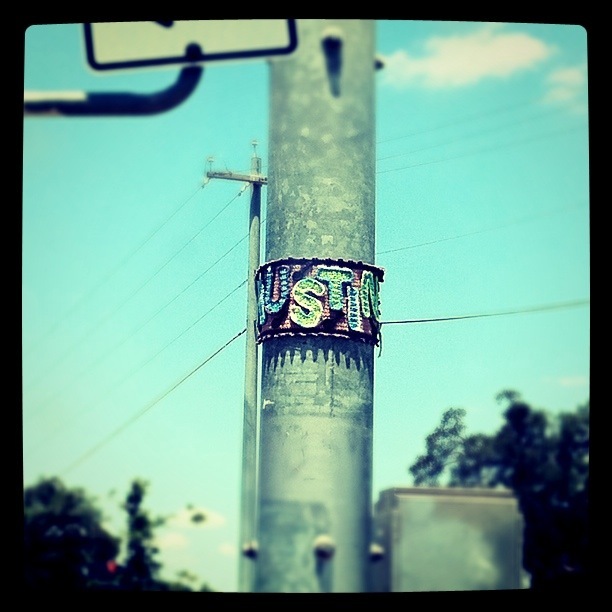 Today, Danielle and her daughters stumbled upon (what we call in Austin) Guerrilla Urban Art. The above was sighted in the Cherry Wood neighborhood (great walkability in this neighborhood, by the way. More on that subject to come) and the below at the cross section of MLK and I-35. No one knows the person/s or group responsible for such pretty, colorful acts of beauty. There was an exhibit, or “knit bombing,” at the Blanton Museum not long ago. The project was headed by Magda Sayeg of “knitta please” with the help of The Griffin School and countless other volunteers. 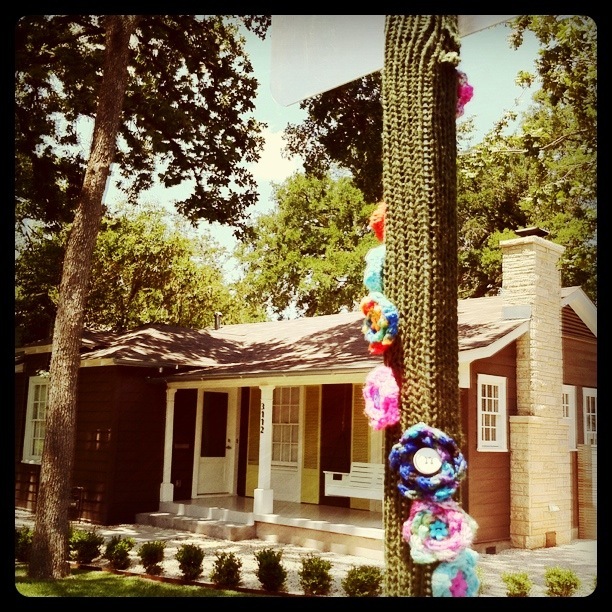 Each tree on the museums grounds were fitted with colorful, knitted stockings… Was it you? Whomever it is, please keep filling our beloved City with the colorful reminders that beauty is everywhere we look. We just have to look close enough. Do you have any Guerrilla Urban Art photos? Please share! We’d love to see them.